For all my DC fans this is MAJOR news! 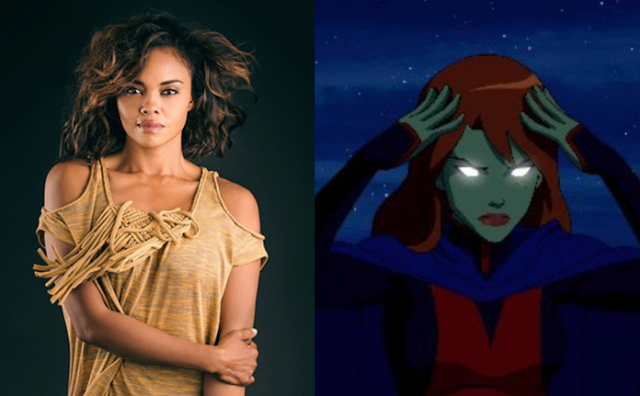 Fictional superhero M'gann M'orzz aka Miss Martian is set to appear on The CW's "Supergirl" in this upcoming second season! The beautiful and talented Sharon Leal, who has appeared in numerous movies including Why Did I Get Married, Why Did I Get Married Too, Dreamgirls and the TV show Grimm is set to play the role! In the DC Universe, M'gann is Justice League member Martian Manhunter's niece that comes from Mars in order to cultivate her extremely strong powers. In the first season of Supergirl, we were introduced to the Martian Manhunter who is played by (SPOILER ALERT!) David Harewood. No other details are known about how many episodes she'll appear in or if she'll still play Martian Manhunter's niece but this is still great news to me as a DC Fan! The Spotlight will keep you updated on more details!